Home/Investigators and Research Centers/Investigators/José Landeras, M.D.,Ph.D. Jose Landeras Gutiérrez, Ph.D., is the Director of IVI Murcia and among the Faculty of the Master’s Degree Program in Human Reproduction at Rey Juan Carlos University, Madrid, Spain, and of the Official Master’s of Biology and Technology of the Reproduction in Mammals at the University of Murcia. 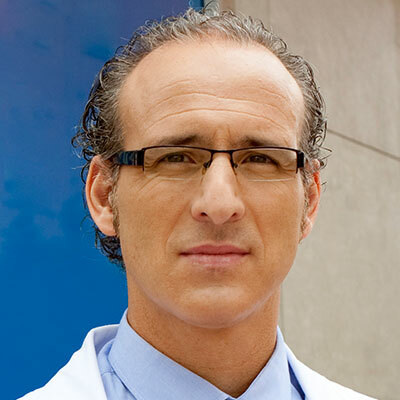 He graduated in Medicine and Surgery from University of Valencia in 1989 and completed his residency in Obstetrics and Gynaecology at Virgen de la Arrixaca Hospital, in Murcia, in 1995. He worked as an Obstetrician and Gynaecologist in Virgen del Castillo Hospital in Yecla (Murcia) from January to June 1996, and obtained Fellowship Training in Human Reproduction at IVI Valencia between July 1996 and June 1997. He has been working at IVI Murcia since 1997, where he serves as the Director since 2004. His main research interests are ART, oocyte quality, early pregnancy loss, reproductive endocrinology, and menopause. He is the Primary Investigator of projects funded by the Spanish Ministry of Education and Ministry of Health and European Regional Development Fund through CDTI. He has been collaborating with Department of Veterinary Sciences at the University of Mucia, where is is currently involved with I+D+I projects. He has published over 20 peer-reviewed articles 45 book chapters on Human Reproduction. Dr Landeras has been invited to speak at, and has authored and contributed to over 135 abstracts in national and international congress. Dr Landeras is Member of the Editorial Committee of scientific journal Cuadernos de Medicina Reproductiva [Notebooks Reproductive Medicine] since 1995. He is member of the American Society for Reproductive Medicine (ASRM), the European Society of Human Reproduction and Embryology (ESHRE), the Spanish Fertility Society (SEF) and the Spanish Society of Gynaecology and Obstetrics (SEGO). Dr Landeras is also a member of the Interest Group for Reproductive Endocrinology (GIER) of the Spanish Fertility Society (SEF) from 2006 to 2008 and currently since 2014. He is de Autonomous Delegate of the Spanish Fertility Society (SEF) in Murcia since 2004 and member of the steering committee of the Murcian Gynaecological Society (SGM) since 2014. Dr Landeras has been a lecturer in several courses and Coordinator of Fellow Consultants in Gynecology and Obstetrics of 3rd and 4th year of specialization of different hospitals in the province of Murcia. Polycystic ovary syndrome throughout a woman's life. J Assist Reprod Genet. 2017 Sep 27. doi: 10.1007/s10815-017-1047-7. [Epub ahead of print] Review. Patologías Endocrinas de baja Prevalencia; Somatostatinoma. Manual para el manejo en reproducción. Edt. Panamericana, Pag. 65-72, 2015. Paciente con riesgo de embarazo múltiple. Casos Clínicos de Reproducción Asistida e Infertilidad.